with several different themes.... Enjoy! 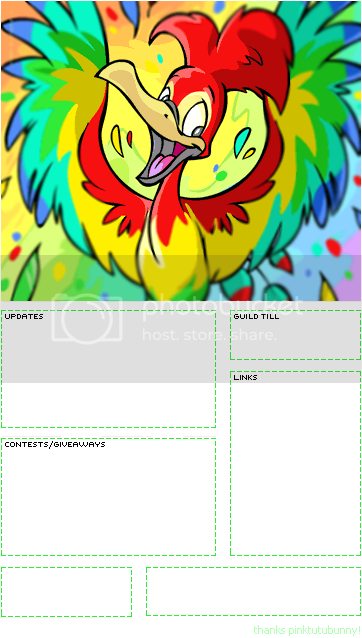 comments or questions regarding my layouts, please neomail me. will be posted here; No requests for custom layouts, please. and a purple and light pink color scheme. ties into the faerie theme. 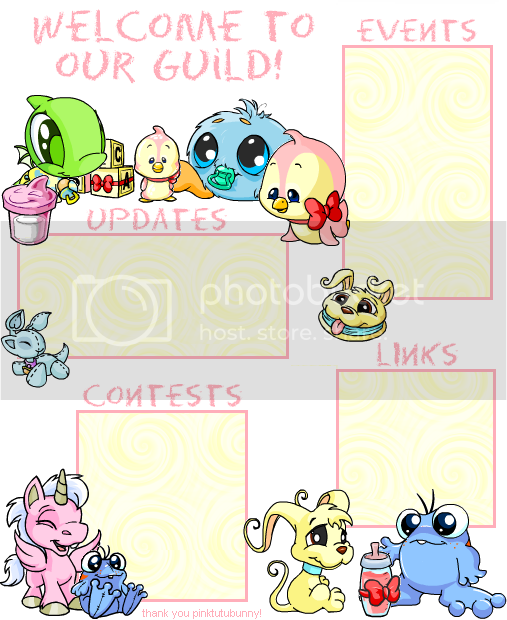 and a pink and yellow color scheme. It also contains a lullaby version of "Mary Has A Little Lamb". and a purple and periwinkle color scheme. MOTM or Sub Council here! 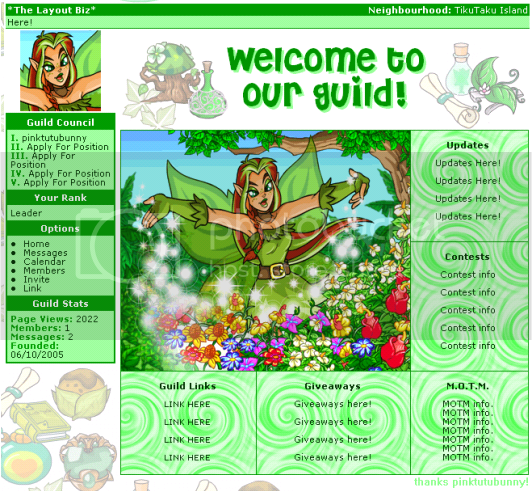 This layout is ILLUSEN themed! 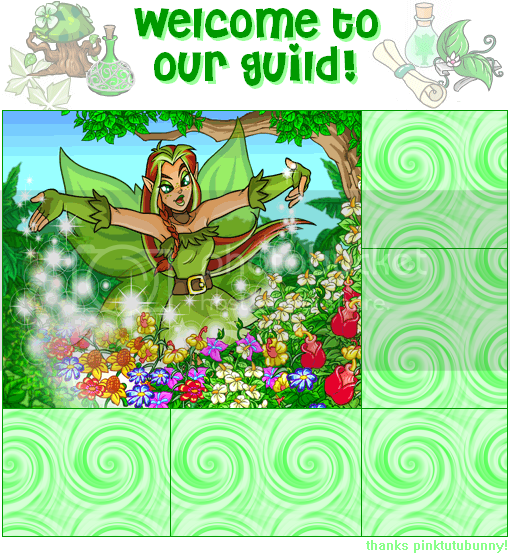 It has 5 blogs, and a green color scheme! and a red and blue color scheme! Events such as Giveaways, Raffles, Auctions here! This layout is personally my favorite! 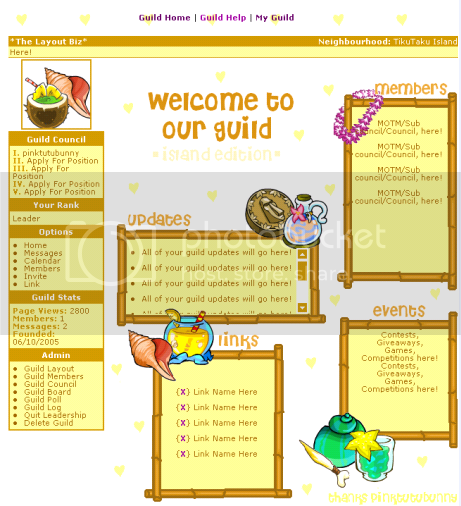 Guild Updates, messages from council, etc here. Directions for getting the avatar here. Put anything you like here. Right click on this logo, save it to your computer. Go into paint, open it up, save it in jpeg format. 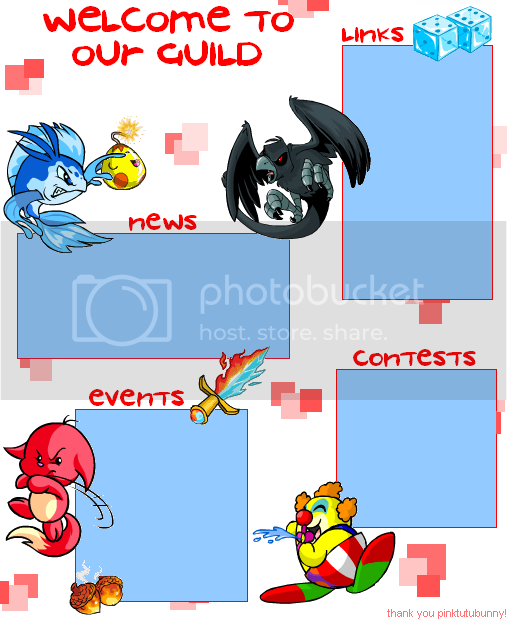 Then upload it to your guild! 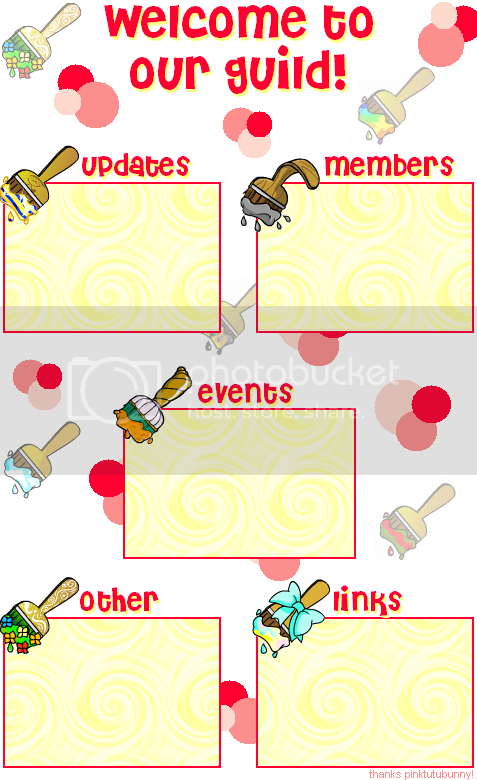 This layout is paintbrush themed! bright and fun color scheme! 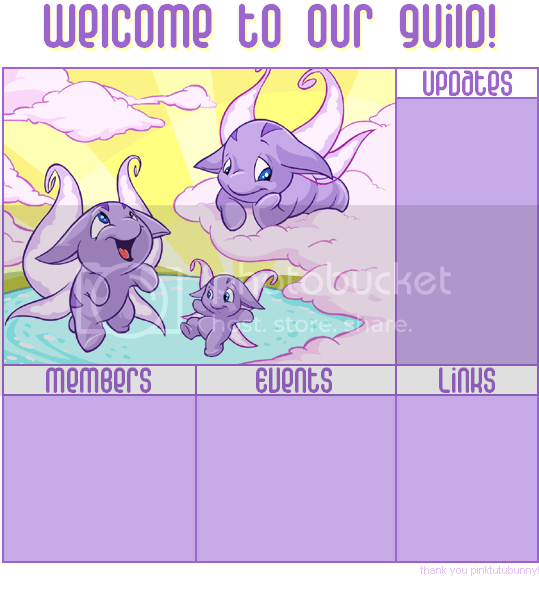 This is also a good place for Sub council info! 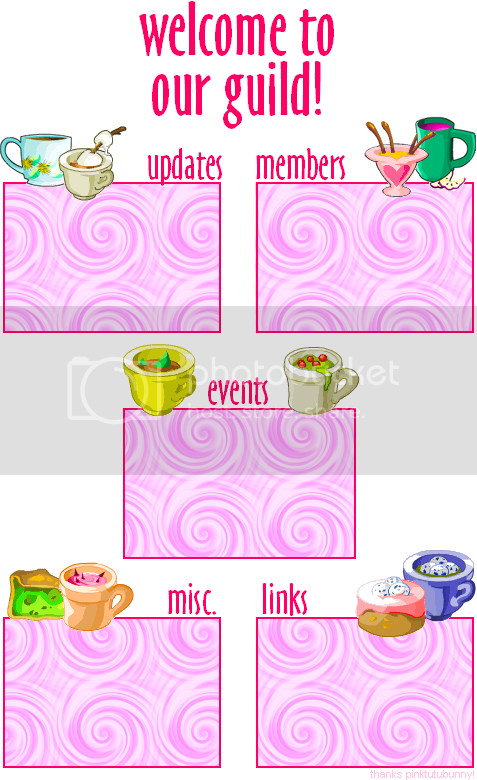 This layout is coffee themed! items. Plus, its got a bright and fun color scheme! 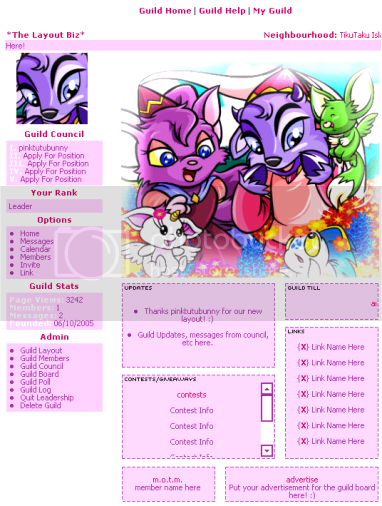 For all you poogle lovers out there! 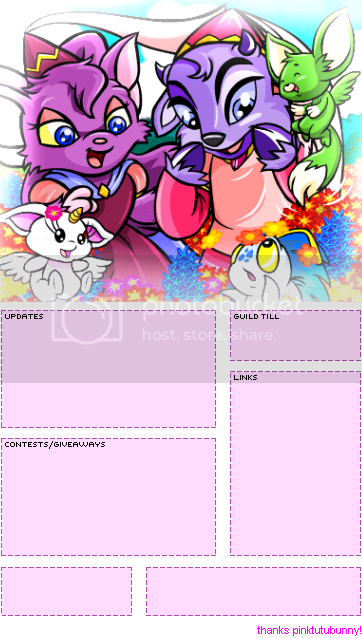 It has 4 blogs, and a purple and yellow color scheme! 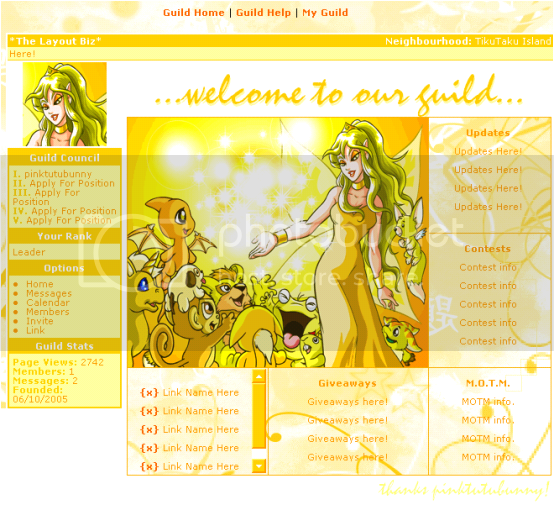 This layout is dedicated to the light faerie! It has 5 blogs, small font. 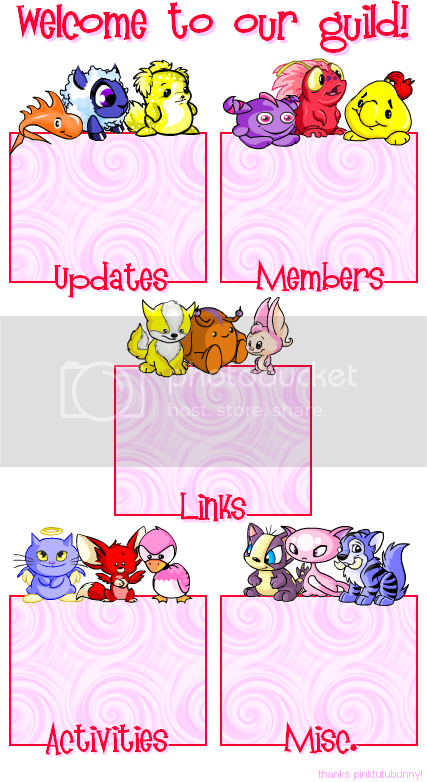 This layout is full of Petpets! 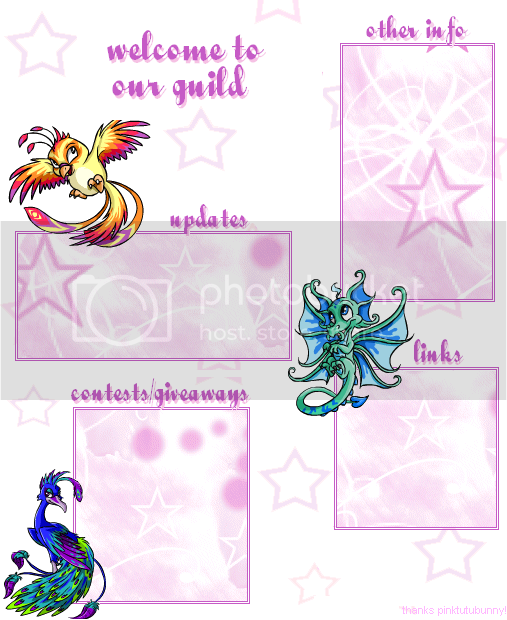 ex: Guild Till, Holiday Events. 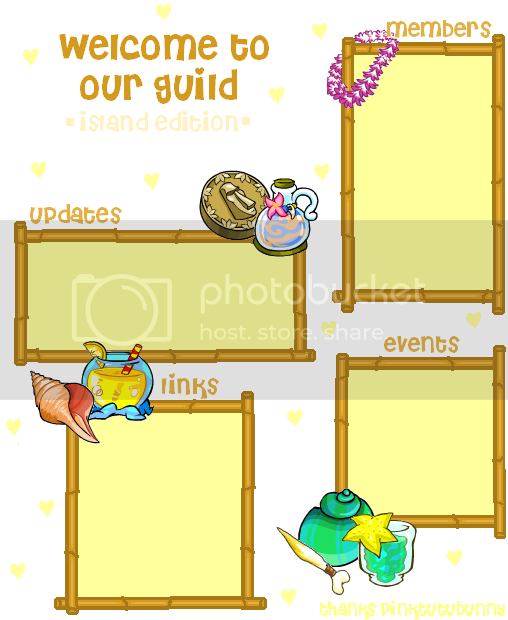 This layout is summery and tropical! It features many tropical items, bamboo framing, and 4 blogs! :). 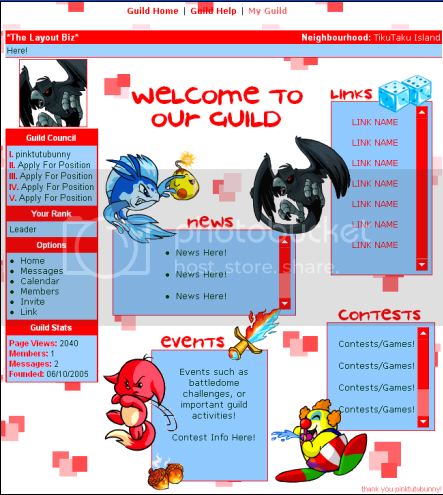 All of your guild updates will go here! This layout definitely one of my favorites! 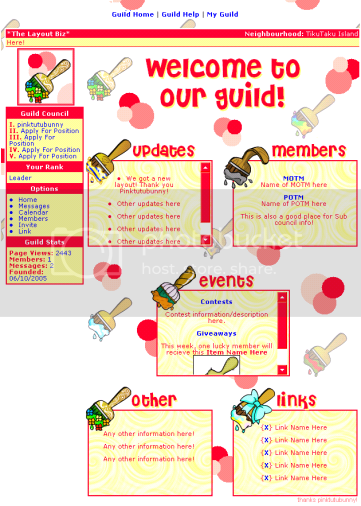 It has 6 blogs, the most of any of my layouts! :). Also comes with cool rainbow cursor that matches the theme! The image is faded around the edges, making it look dreamy. 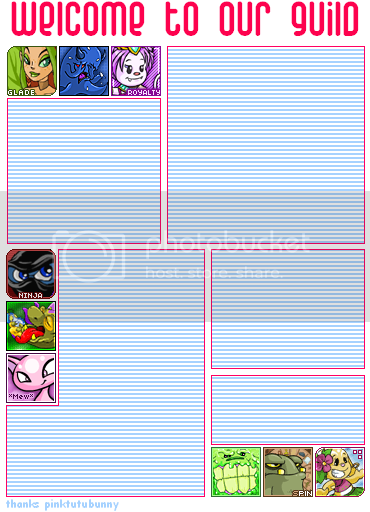 ON TO PAGE 2 OF NEO-RELATED LAYOUTS! Want to help me advertise my layouts?